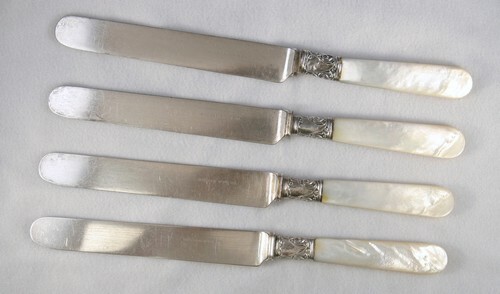 Gorham Mother-of-Pearl and silver place knife. "Gorham Mfg Co" on blade. Scrollwork band is 1" and has a cartouche that could be engraved. The knife is about 9 1/2 inches long and 3/4 inch across.